ACCA Saver: Money back on misfiring multiples! The following are the terms and conditions of the "ACCA SAVER Promotion" (the "Promotion" or “Offer”) on the website 888sport.com (the "Website"). The Promotion is organized by the Company (as defined in the User Agreement). Your participation in this Promotion shall be deemed to constitute your complete acceptance of the provisions below. The Promotion shall commence on June 30th 2018 and shall conclude on June 30th 2019 (the “Promotion Period”). However, in exceptional cases we may conclude the Promotion before the end of the Promotion Period or may prolong the Promotion Period, for example due to security or bonus abuse issues. 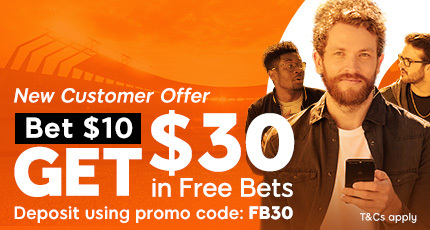 A qualifying bet is a ‘real money’ multiple bet consisting of 6 legs or more of at least £/€/$2 placed on any Greyhound, Horse Racing or Football Match winner market (90 minutes only). Selections from other sports can be included but bets must contain at least 6 selections from the above markets. For example an 8 fold with 6 Horse Racing selections with 2 Tennis selections would qualify. Each multiple leg must consist of odds of 1/2 (1.5 or greater). Straight line multiples only, permutation multiples will not qualify for this promotion. Bets with only 1 losing selection will be eligible for a refund. Bets with more than 1 losing selection will not qualify for this promotion. Maximum stake refund for this promotion is £/€/$25. Special ‘Enhanced Accumulator’ bets do not qualify. In the case of a void selection, the bet will still be eligible as long as it remains a six-fold or greater. Cashed-out bets do not count as a qualifying bet. 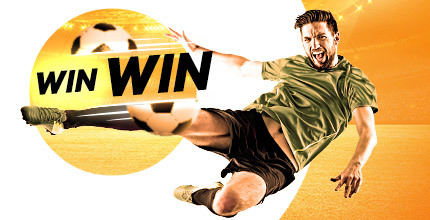 Bets placed with a Profit Boost Token or a Free Bet Token will not qualify for this promotion. Duplicate bets will not qualify for this promotion. Free bets will be credited within 72 hours of the qualifying bet settlement. Members must claim the free bet refund from the promotional e-mail / pop up upon credit. Your free bet will be rounded down to the nearest £/€/$1. For example, if your accumulator of £23.50 qualifies for a free bet, we'll give you free bet tokens totaling £/€/$23. The Company may alter these terms and conditions, including without limitation where required for security reasons, as a result of exceptional circumstances beyond the Company's control or as a result of changes to applicable law or regulation. By participating in this Promotion each member agrees to these terms and conditions which govern the Promotion, along with the "User Agreement" of the Website. full T&C’s apply Min Bet £2– Min Legs 6 or more on any Greyhound, Horse Racing or Football match winner markets only – Min odd 1/2 (1.5) or greater on each selection – Max Refund £25 - Free Bet stakes are not included in bet returns – Free Bet valid for 7 days from credit.